Good news: Google Fiber may get access to utility rights-of-way under Title II of the Telecom Act. In a rare public comment by Google on net neutrality, the Internet giant this week said it sees a silver lining in the potential to be regulated like a telecom company. The Federal Communications Commission has proposed treating broadband Internet providers like Google Fiber as telecommunications services under Title II, which President Barack Obama supported in November to complaints from the telecom and cable industries. Title II would expose Google Fiber to new regulations usually targeted at communications utilities and monopolies. Rates and service quality would be regulated by the government and Google Fiber may have to ask permission to stop providing some services, according to Tom Cohen, a communications lawyer at Kelley Drye & Warren. But in a letter Tuesday to the FCC, Google’s director of communications law Austin Schlick highlighted a potential positive for the company if Title II kicks in. 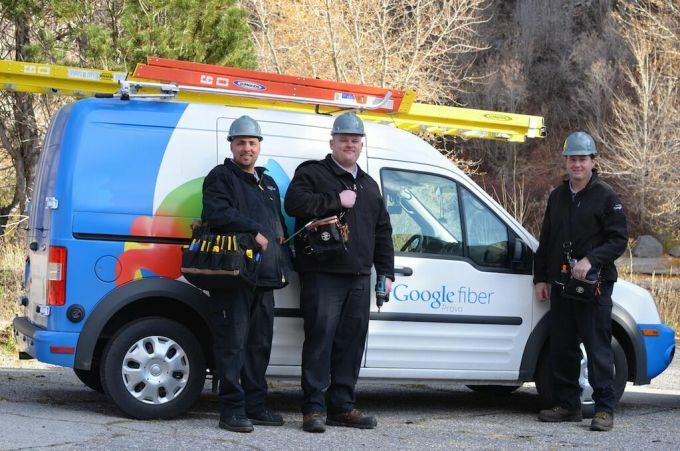 As a regulated telecom service, Google Fiber would get access to utility poles and other essential infrastructure owned by utilities. The FCC should make sure this happens because it would promote competition and spur more investment and deployment of broadband internet service, Schlick argued. Broadband competition just got a little more interesting. This entry was posted on Wednesday, January 7th, 2015 at 11:24 pm	and is filed under Front Page. You can follow any responses to this entry through the RSS 2.0 feed. You can leave a response, or trackback from your own site.